Brandt de la Rey is a biologist working in a disputed, remote and uninhabited border region between South Africa and Mozambique. In the third year of drought, as the growing trickle of hungry and dying refugees in search of food arriving at the nearest convent clinic threatens to overwhelm their ability to cope, Brandt hatches a plan to get them out of the area to somewhere better before all their food runs out. 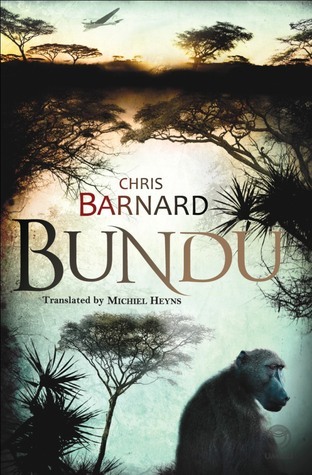 What Chris Barnard has achieved is a compelling, sometimes humorous, story set around the awful turmoil of a few people at the mission trying to cope with famine and flood, with hunger, illness and death on a scale that just shouldn’t happen. All the characters - Jock Mills, the mad, drunken pilot; Strydom the eccentric prospector; Malume, the baboon; Vukile, the doctor; Julia, the nurse, and Sister Roma – have their own reasons for being in such a remote place, everyone has his and her own story. He shows the stresses and strains taking their toll as people face making difficult choices because to do nothing is unthinakable. Told in the first person this story shows how basic humanity transcends linguistic and cultural differences, when there is no verbal communication, no common tongue, care and respect for fellow human beings presents the only common rallying cry. ashramblings 4* Although a difficult topic to read about, it is written with sensitivity and awareness. The English translation is fluid and certainly helps in this respect. I couldn’t put it down – an unexpected page turner!